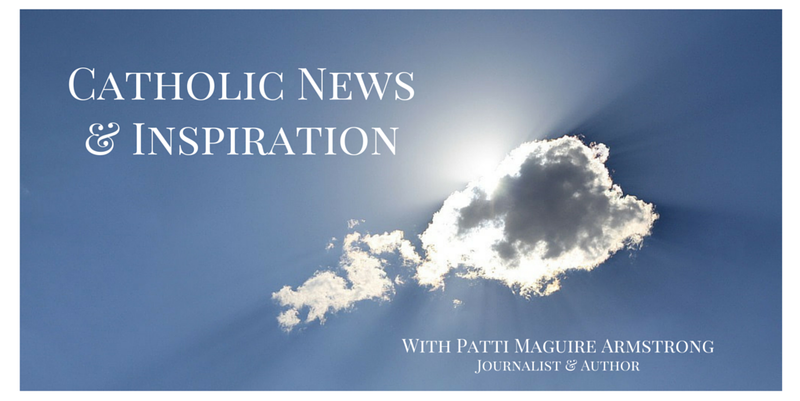 Patti Maguire Armstrong: Should the Vatican Solve Child Poverty? Should the Vatican Solve Child Poverty? "THE VATICAN OWNS $25 BILLION IN PROPERTY AND $10 BILLION IN ART – AND YET CANNOT SOLVE CHILD POVERTY." We’ve heard it before and will hear it again, so be prepared with an answer. The majority of the Church's "wealth" is in real estate and in art work. These assets are "public wealth" open to everyone regardless of race, creed or religion throughout the ages. Within 24 hours after the posting it had 7 shares and 25 comments. Here are some of the comments. · Jesus said the poor will always be with you. Or did you forget that? · 35 billion dollars isn't going to eliminate childhood poverty. 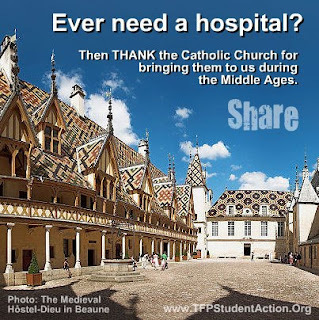 And besides, the Church's "wealth" is held as patrimony for the world. So, when you go to St. Peter's Basilica you don't pay to get in. Or if you want to view the Sistine Chapel's artwork you can do so without worrying that it's been sold. · JOHN 12: ...4Then one of his disciples, Judas Iscariot, he that was about to betray him, said: 5Why was not this ointment sold for three hundred pence, and given to the poor? 6Now he said this, not because he cared for the poor; but because he was a thief, and having the purse, carried the things that were put therein. 7Jesus therefore said: Let her alone, that she may keep it against the day of my burial. 8For the poor you have always with you; but me you have not always. 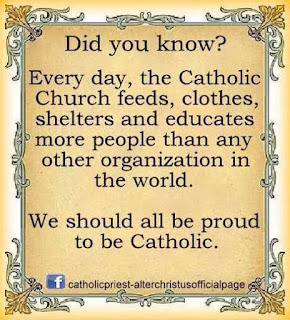 · The Catholic church has thousands of soup kitchens, hospitals, schools, colleges. food pantries and on and on. · Having millions worth of art is not the same as having millions in cash. Besides that, art carries a patrimony and a dignity as well as an obligation to preserve the treasures of the past. 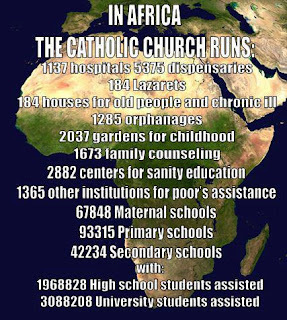 And whatever about the reported millions in the Vatican, the Catholic Church operates more works of charity than any other institution in the world. And the US government spends thousands of times more money on its military budget and blowing up children in 3rd world countries, why doesn't it convert its military budget into feeding rather than murdering them? 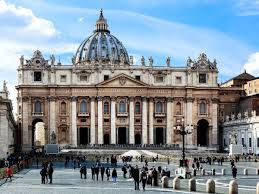 · Is it the Catholic church's fault that artist did great work for the church and it turned out to be some of the best and priciest work in the world? · There will always be folk who will demand their "pound of flesh" from the Church. · The Catholic Church does more for the poor than everyone else combined. That land and art is how they spread the Gospel which in turn moves believers to charity. · AD MAJOREM DEI GLORIAM. For the greater glory of God. 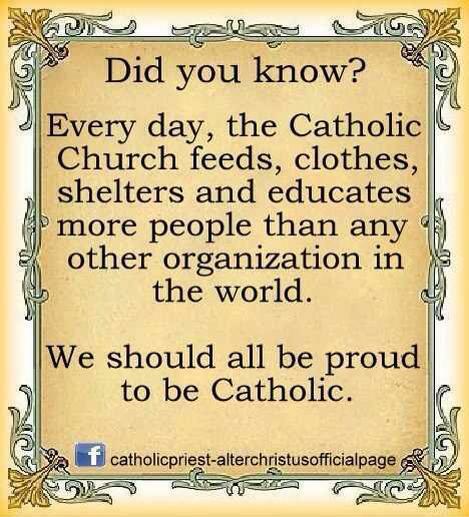 The One True Holy Catholic and Apostolic Church has stood for 2000 years and is the largest Christian charitable organization on earth! With hospitals, orphanages and schools in many third world countries. Sad that non-Catholics attack out of jealousy just because the Holy Catholic Church can prove by its collection of artworks and buildings that all these, which belong to God Himself, provide authentic history! Why do non-Catholics not go after multi trillionaires like the Rothschilds who own the Federal bank and who could have cleared world poverty multiple times over?!? Oh, that’s right easier for Satan to attack Jesus Christ’s One True Holy Catholic and Apostolic Church! With the exception of vulgar trolls, I recommend staying Facebook friends with people who are against your faith and morals in order to respond with truth. Otherwise, ignorance and hate preach in a vacuum with no one to correct them. And now, I can post this article under the meme of the original poster plus to some of those who shared it. For more inspiration check out the Amazing Grace Series. 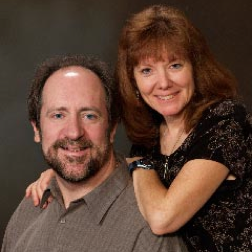 Follow Patti at Twitter and Pinterest, like her pages at Dear God Books, Big Hearted Families, Catholic News & Inspiration on Facebook, and her author Facebook page. Sign up at the right column to receive articles in your inbox. God bless you!